﻿ Harrison Lake State Park Campground - Ohio. Find It Here. 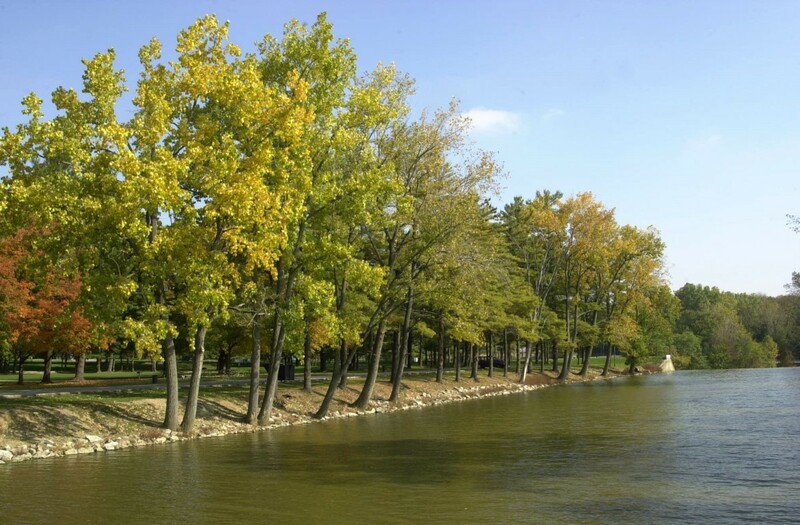 Located in the midst of gently rolling hills in northwest Ohio, the 142-acre Harrison Lake State Park offers wooded splendor in an agricultural region. Harrison Lake is a popular spot for swimming, fishing, camping and paddling. A total of 179 campsites are available with a mix of electric and non-electric sites. Showers, flush toilets, & dump station are available. Pets are permitted on designated sites. A playground is located at the campground. Games and sports equipment can be borrowed by registered campers at the camp office. Unique getaways include two yurts available for rent from May through October 31. Each yurt has futon beds, ceiling fan, mini refrigerator, and an outdoor gas grill along with a sheltered picnic table. Boating on the lake is no-wake speed; rental boats available. Swimming beach and a designated dog swimming area. Hiking and disc golf. Bike rentals and nature programs seasonally.